Taiwan news site reports... Taiwan and Haiti are expected to sign an agreement by the end of this year for the construction of a power grid in Port-au-Prince to alleviate the country's energy supply problems, a high-level government Taiwanese official said. According to the Taipei Times, This electricity project is one of the initiatives being discussed by a bilateral high-level task force that was established to draft new terms of cooperation in accordance with a consensus reached between President Tsai Ing-wen and Haitian President Jovenel Moise during his visit to Taiwan in May. It's been reported, the project to construct the Port-au-Prince Haiti power grid would cost US$146.98 million. The Taiwanese official tole the Taipei Time the project will be financed by a development assistance loan from a Taiwan bank to the the Haitian Government, it will be contracted to a Taiwanese construction firm and it will take at lease two years to build. 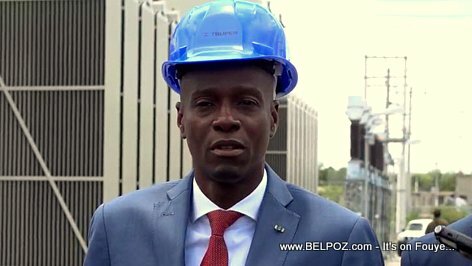 President Jovenel Moise promised electricity 24/7 in Haiti and, it seems, he is still going forward with the plan.